First things first: What is grandma dressing? Think any combination of pearls, fur, faux fur, silk, animal print, statement eyewear, vintage-inspired leather, tights, ladylike bags, chunky jewelry, floral prints, and anything Saks Potts. 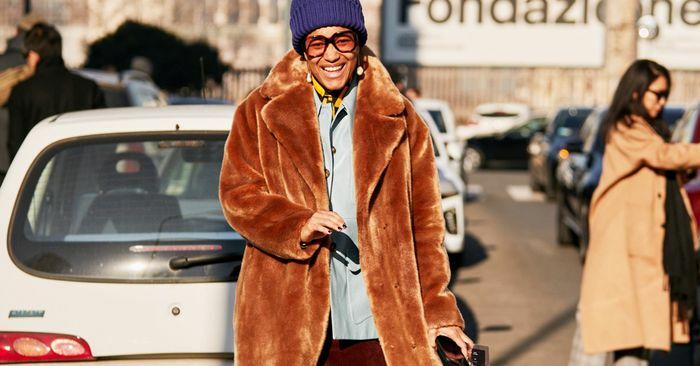 In other words, a more-is-more approach to styling anything that looks like it could have (or actually did) come from your grandmother’s closet. A movement no doubt inspired in some part by Gucci’s Alessandro Michele–led aesthetic, but after some much-needed dilution and trickle-down, making it a lot more wearable. One may wonder: Given that my personal style is unabashedly simple, just why do I feel an uncharacteristic proclivity toward grandma dressing? Well, for starters, it’s free. Like several of my other favorite styling tricks right now, it can be achieved with pieces you already have in your closet. All it takes is some creativity and a willingness to step outside your comfort zone. Aside from that, it’s convenient. What better way to combat cold-weather dressing than with an endless approach to layering? So with that, keep scrolling to see how grandma dressing has manifested itself on Instagram and shop pieces inspired by the trend—because while you may not need to buy more, it’s always fun.